Aside from the longer announcements for Animal Crossing: New Leaf, Mario & Luigi: Dream Team, and Mario Golf: World Tour, Nintendo shot out a ton of rapid fire bits of 3DS and Wii U gaming news in today’s “year of Luigi” Nintendo Direct presentation. Below is a full round-up of all of The Big N’s announcements, along with an embedded video of the entire presentation. A new Luigi-themed DLC pack will be released later this year for New Super Mario Bros. U for the Wii U. The DLC will be similar in scope to the full game and will work by changing each level to a “Luigi-focused stage” that players can switch over to for an added challenge. A launch date was not announced for the DLC. Game Freak’s HarmoKnight has been confirmed for a North American launch. The music/runner game will launch on March 28th, with a demo scheduled to hit the eShop on March 14th. Style Savvy: Trendsetters fans (like GoNintendo’s Kevin Cassidy) will be getting free SpotPass downloadable content that will add cloths inspired by Animal Crossing‘s “Gracie Grace” brand clothing. Nintendo did not reveal exactly when this DLC will be released. Nintendo’s Reggie Fils-Aime announced that a 3DS remake of one of my all-time favorite Wii titles, Donkey Kong Country Returns, is currently in the works. Donkey Kong Country Returns 3D is being “rebuilt” for the handheld and will launch sometime this Summer. You can get a taste of the beautiful 3D levels by checking out an exclusive 3D video which should be up in the Nintendo 3DS eShop right now. A number of new games will be hitting the Nintendo 3DS eShop soon, including; Mario and Donkey Kong: Minis on the Move (soon), Dillon’s Rolling Western: The Last Ranger (April 11th), and Kersploosh! (March 7th). Two new Fire Emblem Awakening DLC maps are available for purchase now at the in-game Outrealm Gate. The Champions of Yore 3 map ($2.50) lets players battle against legendary characters such as Marth, Roy and Ike. The Golden Gaffe map (also $2.50) is the first in a second set of three maps. This one pits players against a group of very “wealthy enemies”, pronounced “gold farm”. Wii Street U has been dumped onto the North American Wii U eShop with very little celebration. 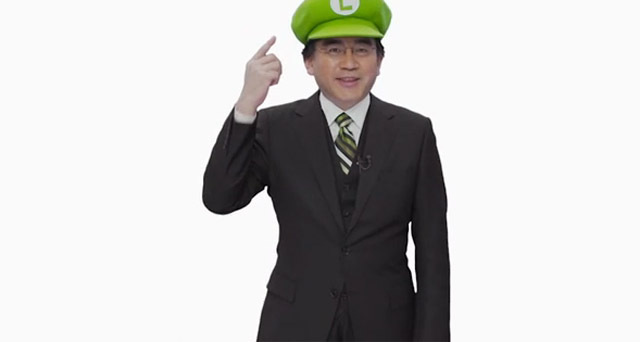 Sadly, we didn’t even get a crazy video of Iwata wearing a Google camera on his back, but it is free to download (for a limited time). Finally, Nintendo is kicking off a huge sale on the 3DS eShop in North America, starting today with Bit.Trip Saga for an extremely reasonable $9.99 (normally $14.99). On February 21st Crashmo will be reduced to $5.99, followed by Fractured Soul on the 28th for $7.99, Sakura Samurai on March 7th for $4.99, Ketzal’s Corridors on the 14th for $4.99, and finally Mutant Mudds for $5.99 on March 21st. Check out the full Nintendo Direct presentation below to see footage of all of today’s announcements.